1. Made of high-grade material, which is very durable and also eco-friendly. 2. Adopts nanometer permeating skin care technology that provides a spa treatment with easy absorption that leaves skin soft and silky-smooth, cleaning and tightening the skin, keeping your face hydrated. 3. 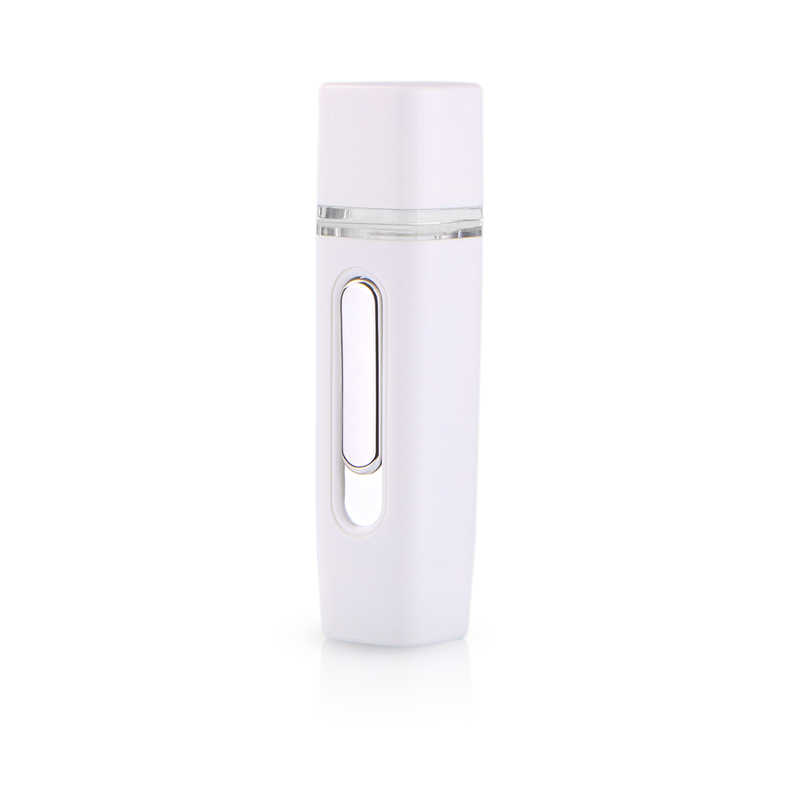 With the micromolecule and large spray volume, it is easy to make your skin moist and smooth at anytime and anywhere without smearing your makeup. 4. Small size and light weight for easy and convenient carry or use. 5. The large-capacity water tank for long-term use and unique design makes it be waterproof. 6. Charging time: About three hours, the indicator lamp will be off after the charging operation. 1. Wash and clean your face thoroughly, making sure it's free of any products or make-up. 5. If there is any left on skin, rinse off with water gently.